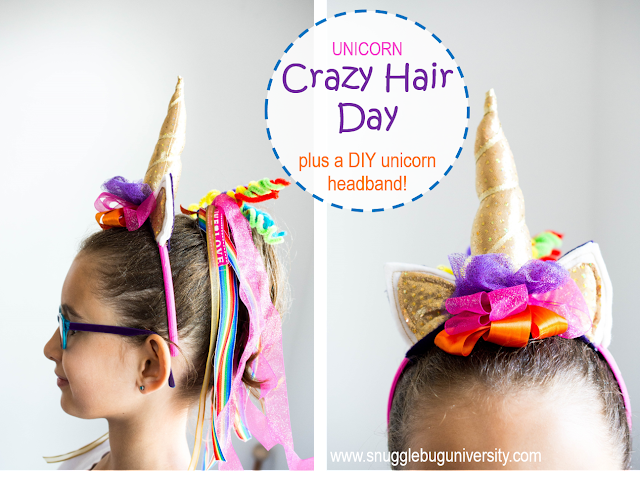 Snugglebug University: Unicorn Crazy Hair Day...plus a DIY Unicorn Headband! Unicorn Crazy Hair Day...plus a DIY Unicorn Headband! 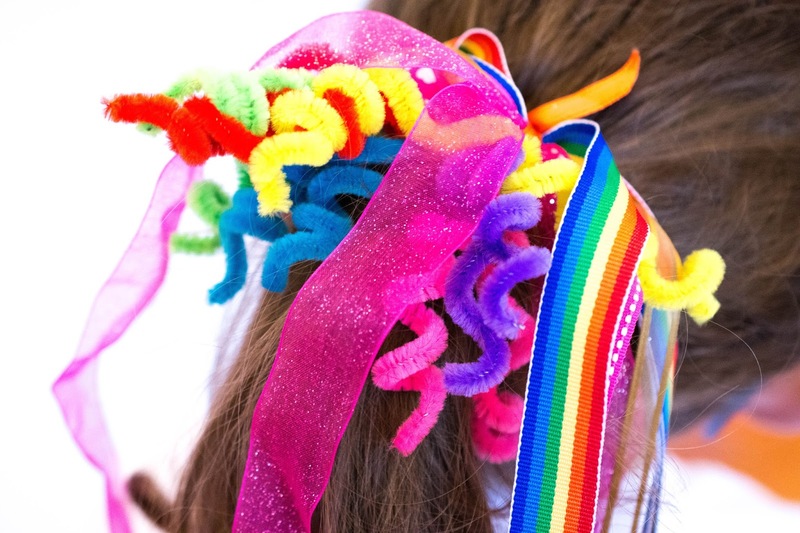 Today was crazy hair day at Lu's school, and we threw this little project togther! I thought it would be a fun one to share. I had most of the crafting stuff already, so it actually only took me about a half hour to make. Lu provided the inspiration. She drew me up a plan of what she wanted. 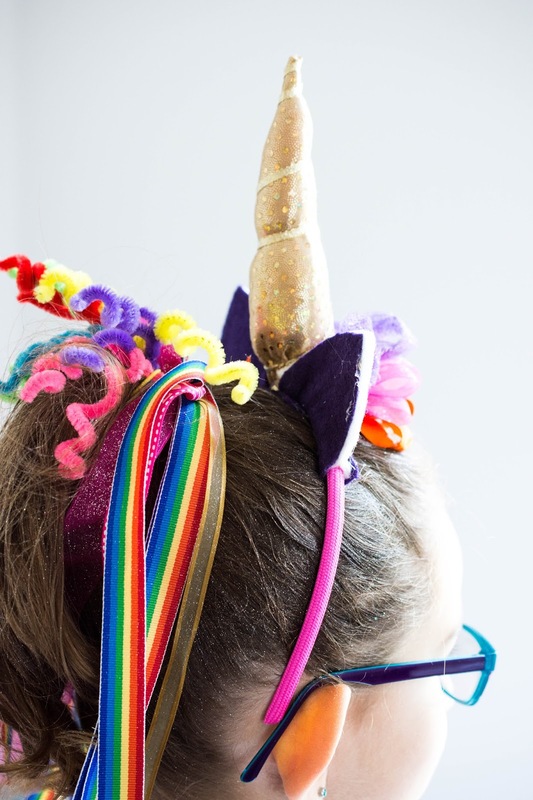 It's a crazy little headband, and then we did her hair up behind it to make a mane. So fun!! This kid begged for glitter spray too. She has so much of that stuff in her hair now that she totally shimmers...and I do too unfortunately! Hah! The true sacrifices of parenting! There's very little sewing involved, and a bit of gluing. In fact you could probably use all glue if you want. It's really that easy. Want to see how it came together? I started with a really horrible looking triangle for the horn. I had a scrap piece, and this is just want I used. I put the right sides together and sewed up the side. 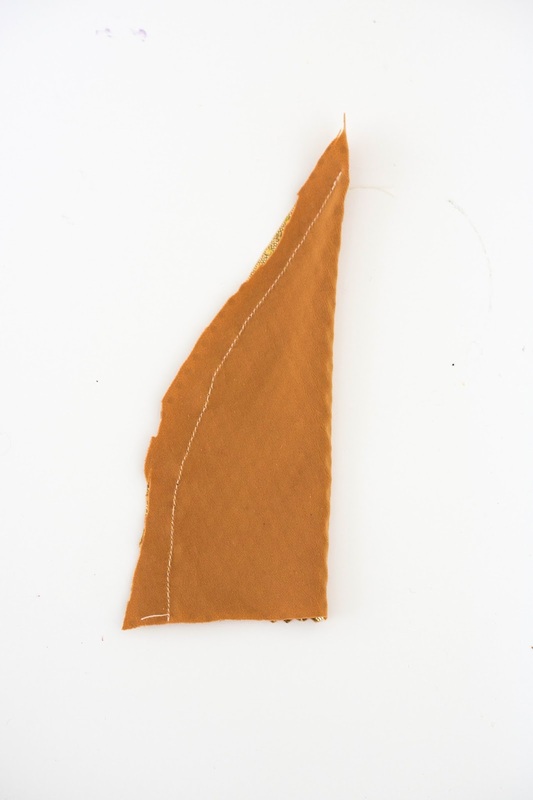 I incorporated a small piece of ribbon in the top of the seam. You can see that when I turned the horn right side out you can see that my ribbon is caught in the seam at the top. 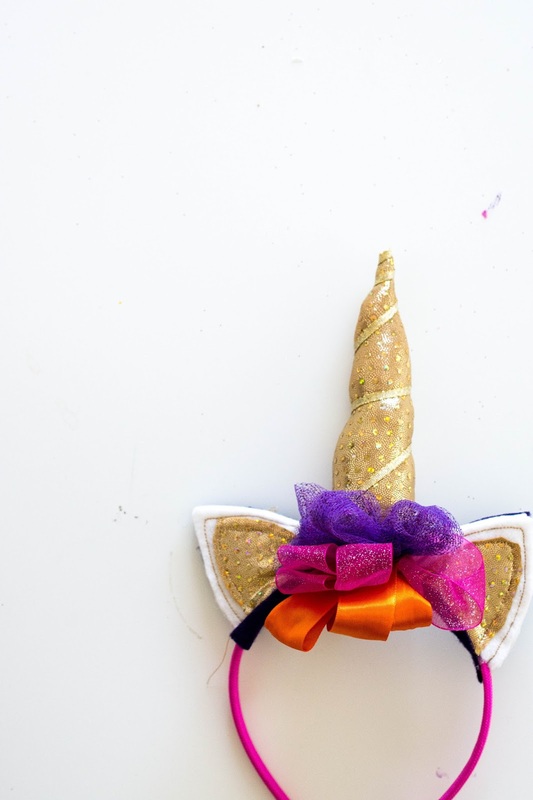 I stuffed the horn and then wrapped the ribbon all around the horn. I just tied it at the bottom. Here it is tied at the bottom. 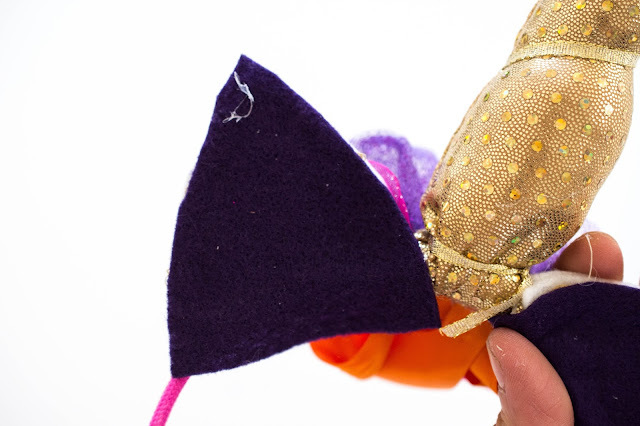 Put the horn aside and then sew the inner ear piece to one of the outer ear pieces. Then sew the ear front to the ear back. 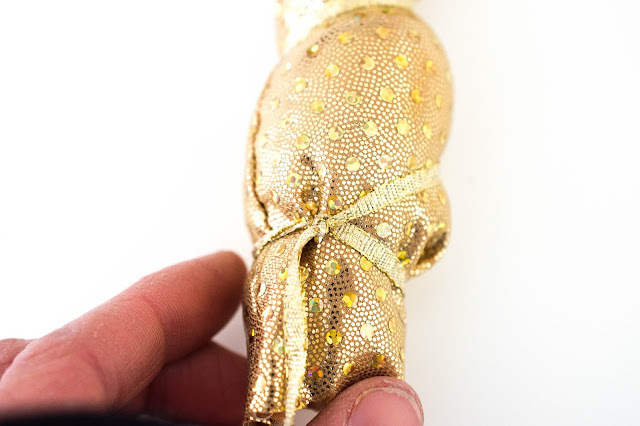 Leave a 1/4 inch each end of the base so that you can attach both sides to the headband. Set the ears aside. 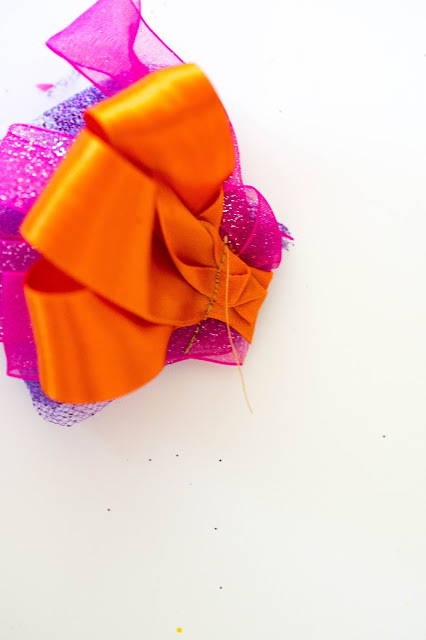 I folded over several different ribbons and sewed them at the base. 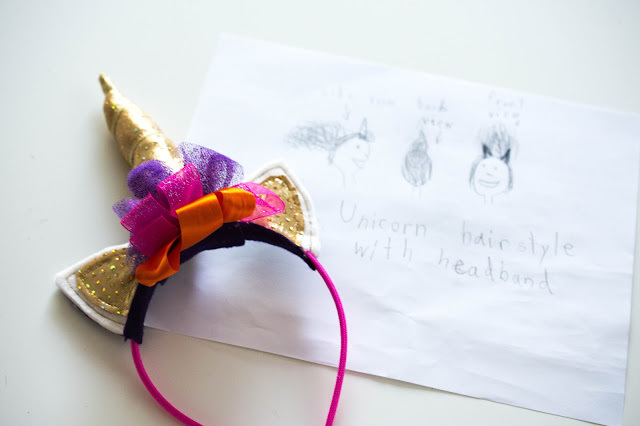 Glue the ribbons directly onto the headband. 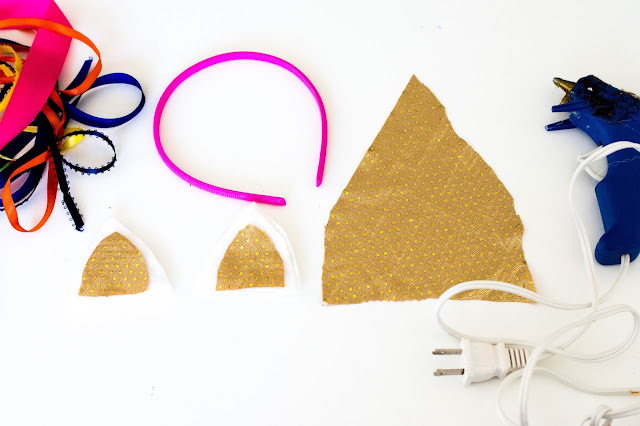 Then fit the headband between the two layers of the ears. Glue them on. 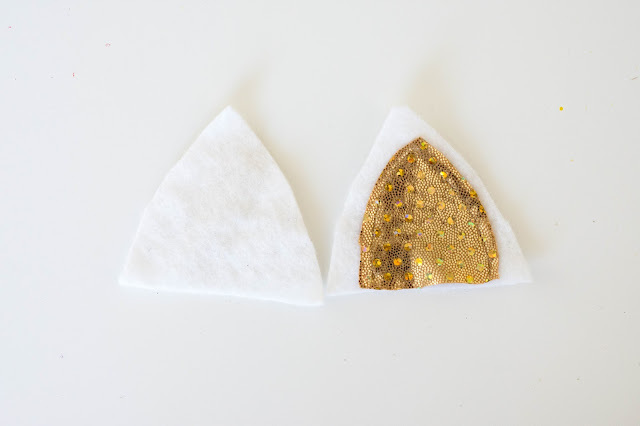 Now I added another (slightly larger) triangle ear backing. I glued the purple triangles to the back of the ears. I folded over the base of the purple felt and glued it to the base of the headband. and up to the front side of the ears. Then for the hair, I put Lu's hair up into a high ponytail. I added pipe cleaners by twisting them around her ponytail. Then I curled each one with a pencil. 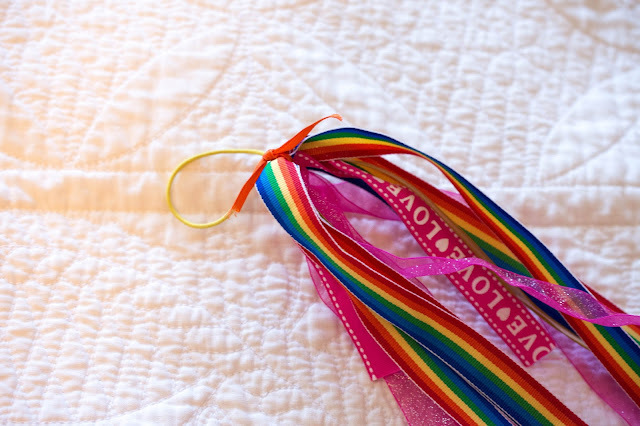 I I added another rubber band with ribbons tied to it. And then I sprayed tons of glitter spray in her hair! So fun! 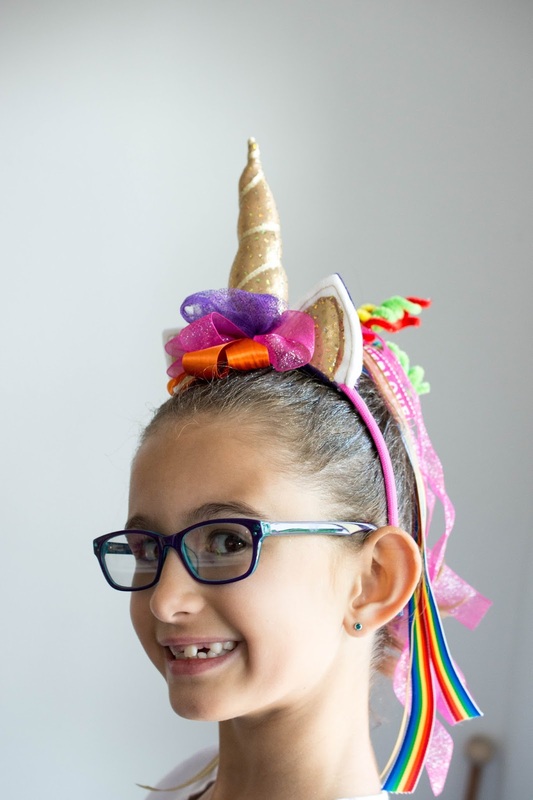 I hope you liked this little peak into Lu's crazy hair day! !